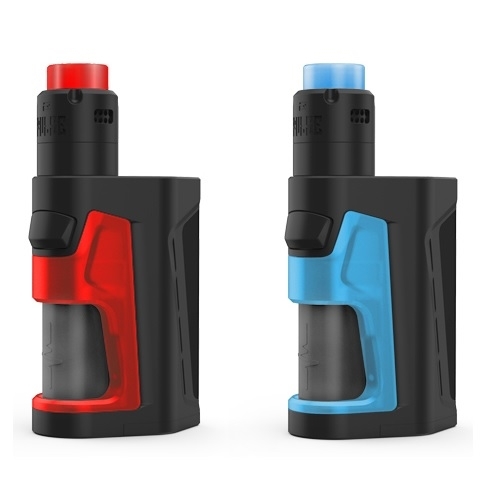 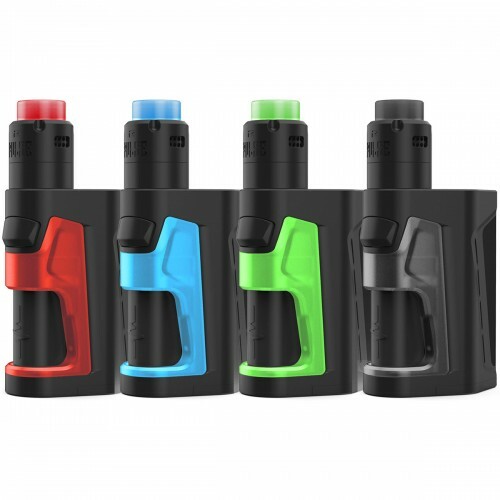 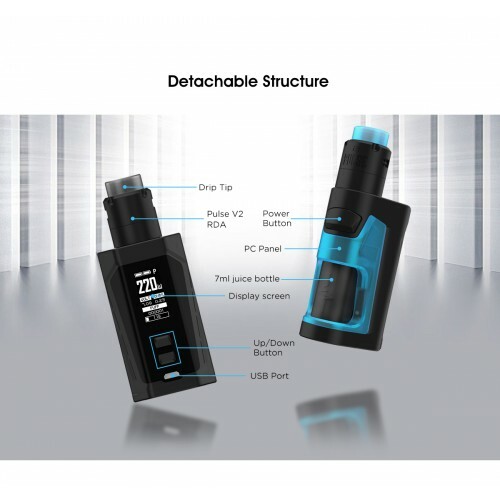 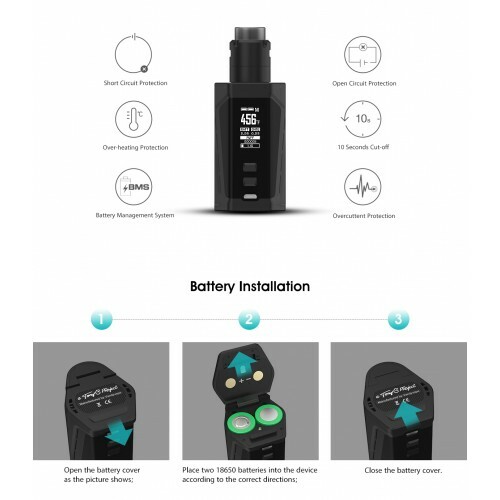 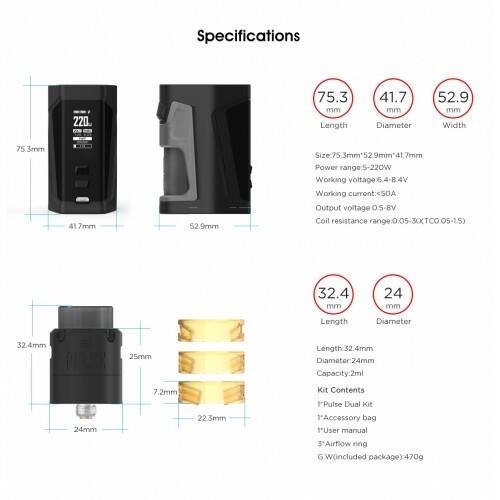 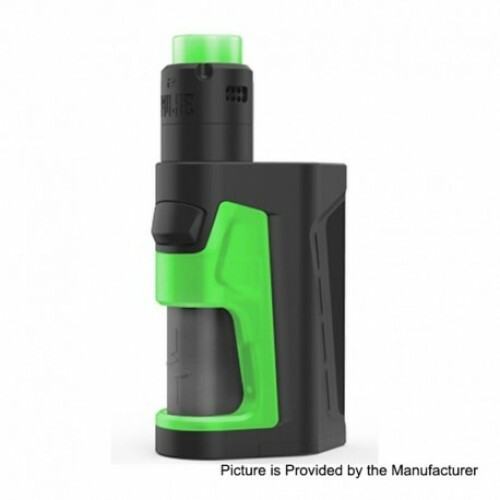 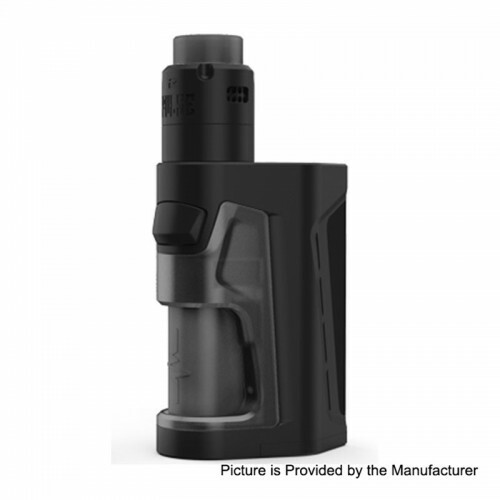 The Pulse Dual 18650 Kit by Vandy Vape is billed as the smallest dual 18650 squonk mod available on the market. 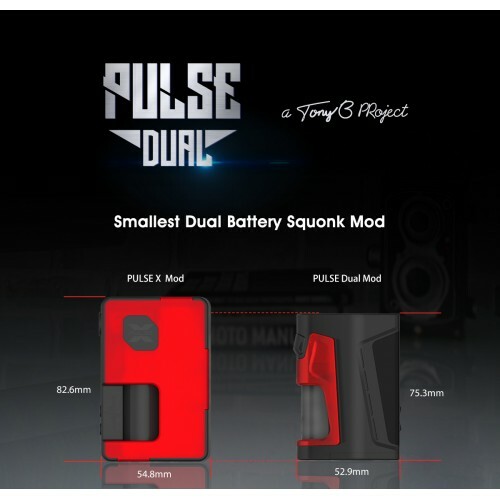 Powered by an upgraded Vandy chip with max output of 220w, the Pulse Dual boasts a huge range of modes and safety features, all easily visible via the high contrast display. 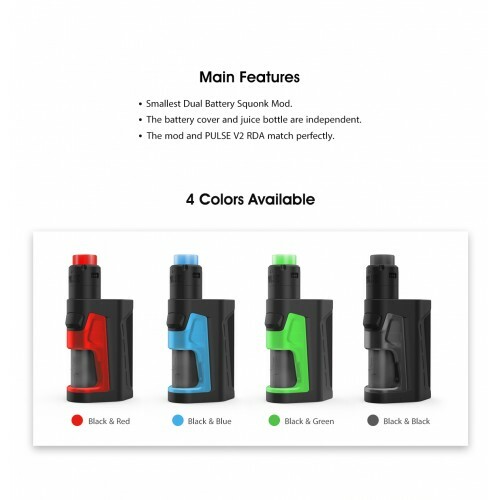 The hinged bottom located battery cover ensures your batteries will always be securely housed in the mod, and the separate juice bottle cover means no need to expose your batteries when re-filling with your chosen eliquid. 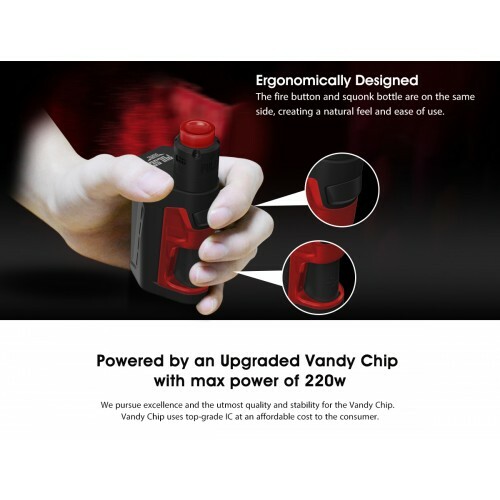 The new Vandy Chip is firmware upgradeable meaning the Pulse Dual will always be running the latest firmware and can always be kept up-to-date whenever an upgrade is available. 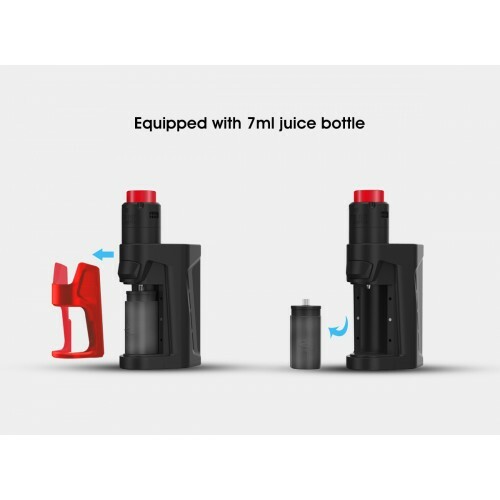 The 7ml juice bottle (2ml TPD) means you'll have plenty of eliquid in your mod when out and about. 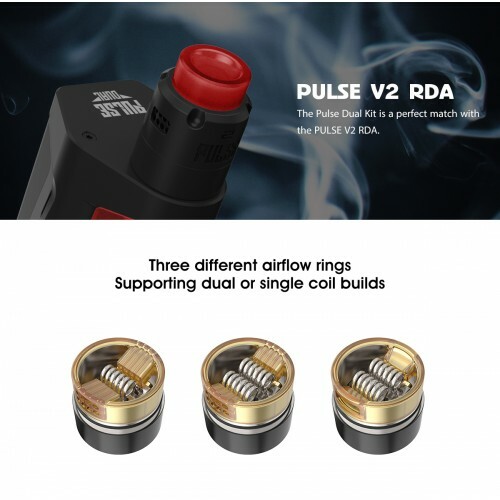 The new Pulse V2 RDA boast a whole host of new features with a number of different airflow rings, allowing you to install any number of different builds to suit your vaping style, whether it be single or dual coils. 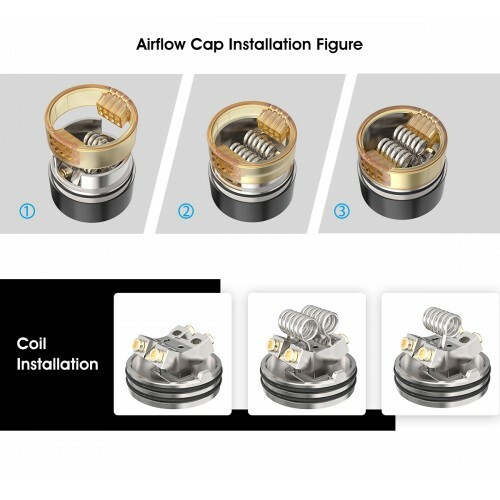 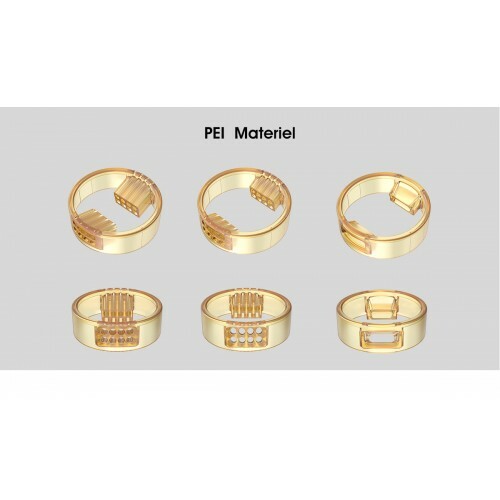 The airflow rings are made from high quality PEI material which ensures clean flavour and high heat resistance all the time, and the floating deck means there is plenty of space for airflow and juice flow.